GHAFOOR GHAMARY, DDS, MS Ghafoor Ghamary has practiced dentistry for over thirty years in both private practice and as a teacher. He received his Masters in Oral pathology at Georgetown where upon graduation they asked him to stay on and teach. Dr Ghamary received awards and certificates from the American Cancer Society for his work in Oral pathology. While at Georgetown, Dr Ghamary completed his Advanced Degree In General Dentistry. He maintained practices in Iran and Washington, D.C. before moving to California to study implantology at the Scripps Institute of Implant Dentistry. After graduation he stayed on to teach Oral Implantology and Oral Diagnosis and maintained a successful practice in San Diego. Dr Ghamary has received awards of excellence in the field of lmplantology. He currently has practices in Maryland and Virginia. 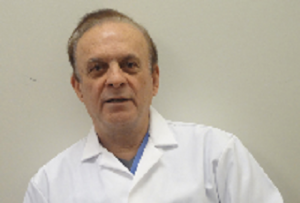 Dr Ghamary has an outgoing gregarious personality and always has a smile on his face. He feels that educating his patients is the key to helping them maintain their dental health. During a treatment plan Dr. Ghamary explains in detail any work that needs to be completed. Using x-rays and other tools he wants his patients to see not only what needs to be done but how and why the condition is there. During his explanation he presents his patients with choices, but his approach to dentistry is a conservative one. Dr.Ghamary’s outgoing manner and conservative approach to treatment works well with both children and adults making your visit a positive one. 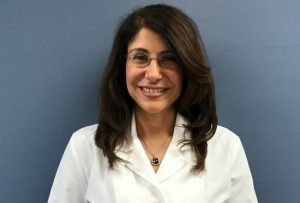 Dr. Parisa Partovi-Tabar has a D.D.S. degree from Georgetown University in Washington D.C. She practices general family dentistry and is a member of the American Dental Association as well as the Maryland State Dental Association. Previously, she was residing in Dubai, UAE, where she worked with the Dental Health Department. There, she emphasized preventive health and dental education. While at the Department of Health, she authored a children’s book on oral health and hygiene which was used throughout the UAE for preventive dental education. Dr. Tabar‘s love of community work led to her start up of one of the first youth programs in Dubai. In the United States she continues to pursue community centered activities. When not working she enjoys spending time with her family.